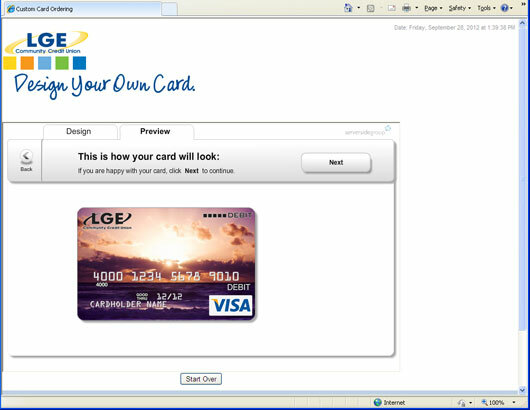 Now you can design your own LGE Community Credit Union VISA® debit or credit card. Simply select from the gallery of images we have available or upload your own personal image! It’s simple and the first custom card per account is free! Each additional card is $10. Why design your own card? 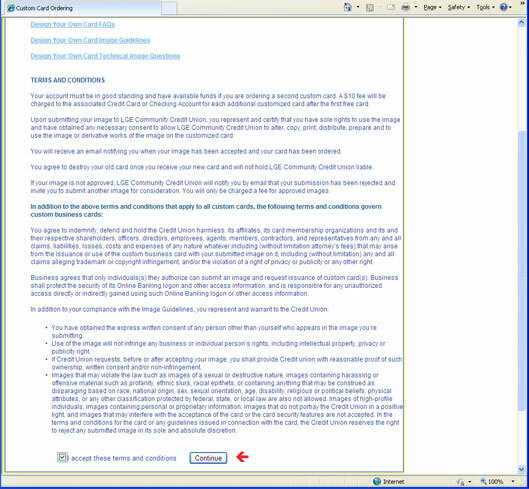 Sign in to Online Banking from LGE’s website. Click on "More" and select "Manage Cards". Then select the card you want to personalize, then click the "Additional Options" link at the bottom. The next page provides Image Requirements and Guidelines. 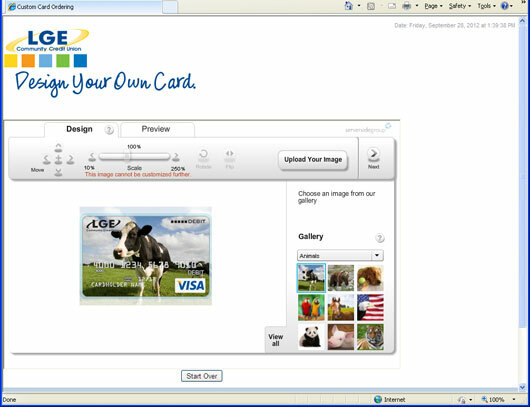 Select the card you want to design from the drop-down menu at the bottom of the page. The card number and card name will be displayed. Select from any of the gallery of images we have available or upload your own personal image. Note: Uploaded images must be at least 840 x 840 pixels and 10 MB in size. The digital photo should be in .jpeg, .bmp., .png, or .gif format. This page allows you to adjust the scale, rotation, and the position of the picture of any uploaded images. Gallery images cannot be altered. Click “Next” to see a preview of the card, and then click “Next” to proceed to the final step. Enter your email address and click “Submit.” An email confirmation will be sent to confirm the card has been ordered or to notify you if the image was not approved. This process takes 1-2 business days. You will then receive your card in 7-10 business days. Make your card unique to you and design your own card today! 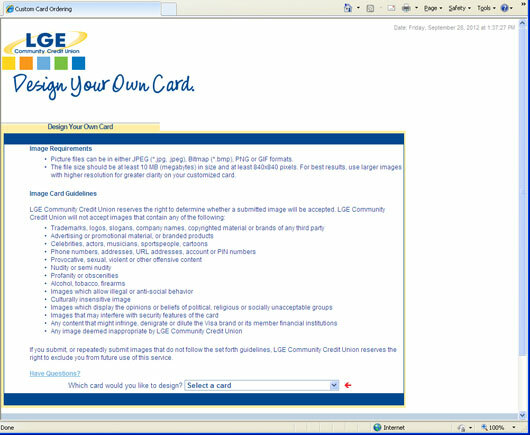 Download FAQs, Card Image Guidelines, and Technical Information.